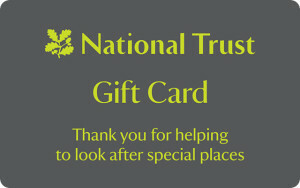 Gift cards can be redeemed at most National Trust properties (in England, Wales andNorthern Ireland), in our shops, cafés and admission points or used towards membership fees. They can also be used for National Trust holiday cottage telephone bookings. Cards can now also be used when staying at the three Historic House Hotels. Gift cards cannot be used for other telephone purchases or any online purchases. Gift cards are not valid against the purchase of more gift cards, virtual gifts or original artworks. Our cards cannot be accepted at certain on-site outlets not operated by the National Trust. If you do not spend the entire amount on the gift card the remaining balance will be updated after each purchase and shown on your printed receipt. The balance can be used against future purchases. 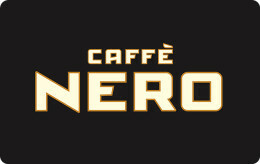 Gift cards can be used as part payment for a transaction with the balance being paid by another accepted method. Gift cards cannot be exchanged for cash. 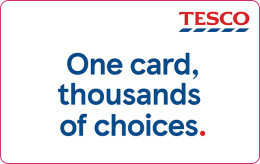 The gift card is not a cheque guarantee, credit, debit or charge card. The National Trust cannot be held liable for lost or stolen cards – please protect them as you would cash. Your gift card will either expire 24 months after the date of issue or 24 months from the last transaction (which ever comes later). A transaction is a sale or a top up. Any remaining balance is cancelled on expiry. We reserve the right to amend terms and conditions of our gift cards at any time and take appropriate action, including cancellation of a card, if necessary, in return for an appropriate refund. Nothing in these terms affect your rights at law (for instance, under the Consumer Rights Act 2015). Please see the Citizens Advice website at citizensadvice.org.uk for more details. Please note: Gift cards can only be sold and redeemed at our places with Barclaycard payment machines - they can’t be used at properties without them. This is usually our very small properties which may not have a shop or restaurant. 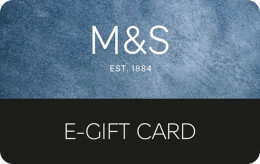 The main exceptions to this are Giant’s Causeway, St Michael’s Mount, Porth y Swnt - Aberdaron shop, Tatton Park and Waddesdon Manor where gift cards cannot be redeemed or purchased. If you are planning a visit to spend your gift card you may like to contact the property to be certain gift cards can be accepted. If you have any more questions about where to buy or redeem a National Trust gift card, please read our frequently asked questions. There’s no better way to embrace the great outdoors that with the National Trust. Protecting the beauty of nature and on a fight to preserve the special spots around the UK so that they can be enjoyed for years to come, a National Trust gift card will be sure to bring joy to its lucky recipient! National Trust is a charity, dedicated to conservation and looks after plenty of heritage sites including coastline, forests, beaches, islands, pubs and more. You can be sure to find the perfect destination with National Trust to enjoy with family, solo, with friends or a loved one. Whether your recipient opts for a nourishing day out or to invest in a National Trust membership - National Trust gift vouchers will be the perfect treat for another to enjoy more of the UK’s beautiful pastures green. Home to the most stunning of spaces, walk through woodlands, revel in the history of restored homes, enjoy an afternoon tea or keep a close eye out for a little wildlife - the possibilities are endless. 1. Print this page and bring it to any National Trust Location. 2. Hand this page to the cashier. 3. Please see Terms and Conditions.